Still Waiting On Your Construction Defect Settlement? Anyone can be the victim of an accident on a construction site. From scaffolding and crane accidents to slip and falls, construction site accidents are very common. But these accidents aren’t the only sources of trouble; injuries can also arise when construction sites are defective. Construction accident damages are generally covered by worker’s compensation insurance or, if it’s not an employee injury, the site’s liability insurance coverage. Construction defects are structural and design flaws, building code and material violations and other consequences of shoddy workmanship that could have been avoided. While construction accidents are fairly straightforward, construction defects can be harder to find and diagnose. In addition, they may not be clear-cut in terms of who is responsible for payment. No matter who’s at fault for a construction accident or defect that has caused you financial and/or physical damage, Pravati Legal Funding can help you recover the funds you’ve lost. 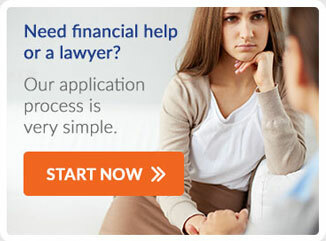 We may even be able to help you recover some funds for pain and suffering. At Pravati Legal Funding, we have built a network of attorneys who are experienced in handling construction site accident and defect cases. We can match you to the right legal representative to file your claim and work out a settlement with the insurance company or construction company. Often, individuals who suffer damage due to construction accident or defect can’t afford to wait long for their settlement. If you need money now, Pravati Legal Funding can provide financing that helps you pay for medical expenses, replace lost wages, and begin putting your life back together again. If you believe that you are witnessing effects from a Construction Defect, contact Pravati Legal Funding.